What if fighting for your country meant going against some of its most traditional values? Motherland is a documentary about the women who shake tradition to rid their country of landmines leftover from a devastating ethnic war. Individually outcast; together, a collective - the deminers support each other as they take on the dangerous role of breaking stereotypes and securing the future of their war-torn republic. 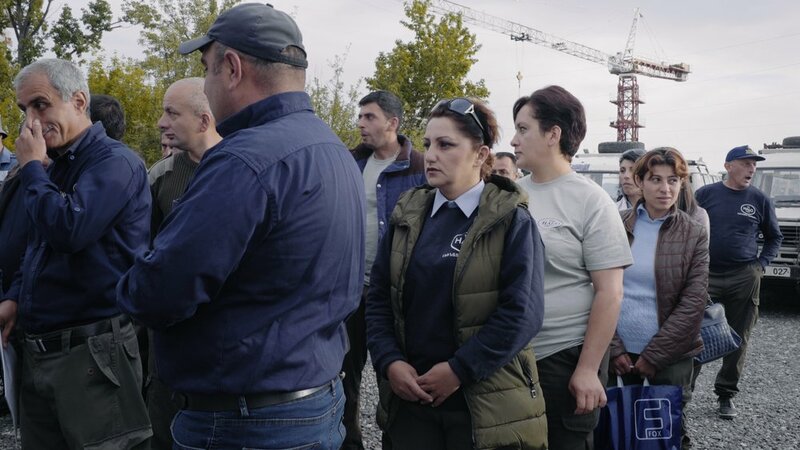 Motherland follows two women who work full-time as mine clearance officers in Nagorno-Karabakh. They put themselves at great risk in order to save the lives of countless people who use these lands to farm, collect wood, attend school, and rebuild after war. Despite their courageous work, they still face the stigma of independent, working women in a country where they are often the property and responsibility of men. In following their stories, we explore not only their dangerous work, but their lives as they wrestle with the pain of their pasts, their dreams for the future of their children and their country, and the immense joy and bonds they share. 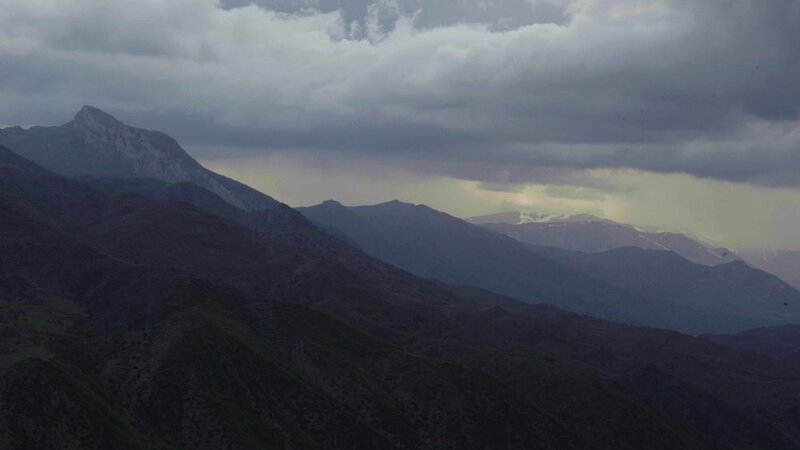 This film is made possible in part thanks to the generous support of the Armenian General Benevolent Union and HALO Trust Nagorno Karabakh. is an Armenian-American filmmaker and writer. 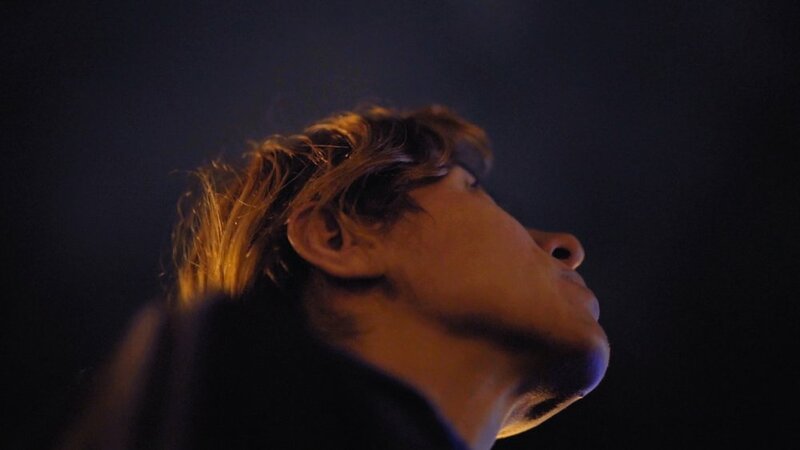 Her films touch on themes of Memory, Place and Identity, exploring creative and collaborative ways to tell stories from marginalized communities around the globe. Her work includes the immersive, multimedia installation Luys i Luso, an exploration music’s effect on spaces that were lost to a genocide a century before. The installation has traveled to Munich (Unterfahrt), Armenia, NYC (BRIC Arts), LA (Arts Activation fund recipient for public art), and Istanbul (DEPO Gallery). Emily also directed the viral web documentary Levon: a Wondrous Life, about 60-year-old rollerblader living exuberantly in the post-Soviet landscape of Yerevan, Armenia; and she just completed the short documentary Motherland, about the women who shake tradition and risk their lives to rid their country of landmines leftover from an ethnic war. is a writer and director based in New York City. He wrote the script for the short film Hugh the Hunter, directed by Oscar nominee Zachary Heinzerling, which premiered at the Sundance Film Festival as well as other festivals around the world. His feature screenplays have gained recognition from numerous festivals and contests including Francis Ford Coppola's Zoetrope, in which he was a quarterfinalist. As a director, Jesse's short documentary, They Were Afraid of Us, screened at multiple festivals at home and abroad. Los Angeles-based platinum recording artist Sebu is the singer/songwriter/producer of the band Capital Cities, whose Grammy nominated “Safe and Sound” shot to the top of the charts and received an MTV music video award. After a stint as a commercial jingle writer and recording engineer, Sebu formed Capital Cities, signed to Capitol Records, and found himself playing the world's biggest festivals, including Coachella and Bonnaroo twice, and Lollapalooza 4 times. The electro-pop sensation toured six continents, opened for Katy Perry, and appeared on Fallon, Kimmel, Letterman, Ellen and Conan. Sebu has collaborated with the likes of Brian Wilson, Andre 3000, Rick Ross, Markus Schulz, Serj Tankian, Jivan Jr. and Sirusho. The bewhiskered father of two boys enjoys hiking in Altadena and Artsakh. Since 1999 with her start at Propaganda Films, Fuliane Petikyan has been leading, advising and completing creative projects as a producer. She consistently pushes the boundaries to explore what’s possible in film, commercials, music videos and recently in virtual reality. From award winning music videos in Los Angeles, to global warming awareness in Greenland. Fuliane Petikyan continues to be involved in the community of filmmakers where she got her start and serves as the President of the MVPA. Looking to change the world with creativity, love and inspiration one project at a time. came to LA by way of Armenia and Beirut, her father in search of a better life for their family. Nazeli quickly adapted to the culture and developed an urge to explore her creativity. As an editor, she worked with pioneers like Spike Jonze, Tamra Davis and Zack Snider. In her mid-twenties she took a leap of faith and started her own boutique editorial shop, Sunset Edit, with two rooms and one other editor. In the past decade, she has grown Sunset Edit to a multimillion dollar commercial, music video, film company housing some of the industries top talent. She has worked with everyone from Diane Ross, Gwen Stefani, Jennifer Lopez, and Cher, and completed commercial campaigns for Samsung, Alaska Airlines and Beats by Dr Dre. Never forgetting where she came from and how the hard work has paid off, Nazeli continues to expand her horizons and solidify herself as one of the top female entrepreneurs in the industry. is a Cinematographer who has built a name for himself working with some of the best outdoor filmmakers in the industry, and has a passion for telling stories that have the power to change our globe. He has traveled around the world creating beautiful and compelling commercial images for brands like The North Face; but is also known for his extensive work with The Nature Conservancy, shooting award-winning documentaries like The Nature of People. is a video producer and editor based in NYC. As a creator who enjoys zigzagging between journalism and art, she spends her time finding and sharing true stories using digital video and analog film photography. She's worked with HuffPost, NowThis, and Mic to publish countless short-form documentaries and viral branded videos.